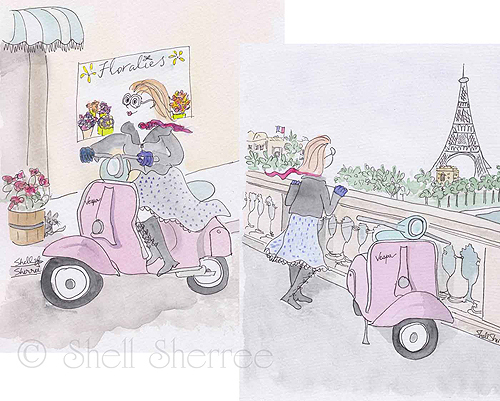 Artist Shell Sherree from Brisbane, Australia makes some prints of her artwork which occasionally feature her â€œdream scooter,â€ a pink Vespa which is the companion of her bespectacled character. The prints are $25 each or $45 for the set of two. Thanks to Kelle for this great find!